Is there any phrase sweeter than “long weekend”? The Australia Day long weekend is fast approaching and with it the inevitable traffic jams at parks and beaches – everywhere with a view and a barbecue. Save yourself the hassle and have your Australia Day at The Star. A number of venues at The Star are running special offers to fit in with the weekend’s theme. Park yourself up on Sky Terrace for an evening barbecue featuring gourmet sausage sangas (think five types of snags with toppings like crispy bacon, caramelised red onion marmalade and artisan mustard) as well as icy cold $10 frosé, a happy our where house beer wine and spirits are all only $7 and Young Henry cans for $7. If catching the cricket is non-negotiable then head over to the 24/7 Sports Bar to watch Australia play England on the huge screens. Order yourself a $10 Aussie Burger while you’re there or try some Vegemite chicken wings – get six for $6. Want a full-on feed? 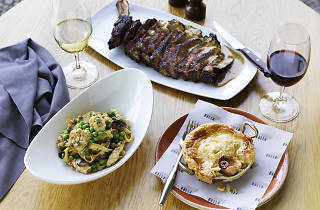 Black Bar and Grill are doing an Australia Day menu. Naturally, there will be lots of fresh seafood (like scallops with wakame butter) as well as Angus steaks and a dolled up lamington to finish. For live music head to Rock Lily where pop artist Tim Omaji (aka Timomatic) will be sure to entertain you, plus there's no cover charge. Be sure to also check out Suite Az on Sunday. 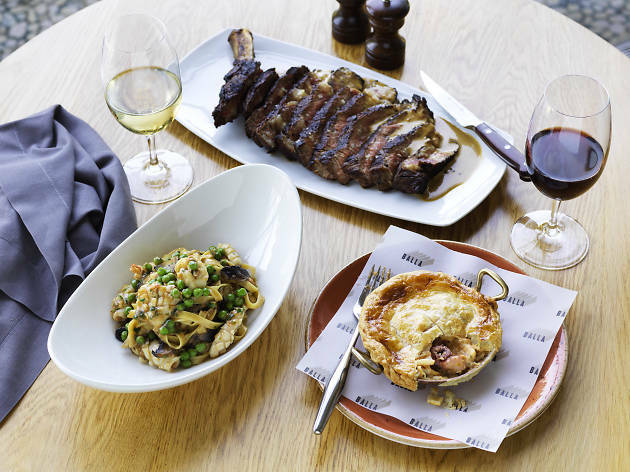 You can also celebrate the Australian coast with a seafood pie or some surf and turf at Balla or head to Sokyo for Moreton Bay bugs with kobu butter. So whether you're after a contemporary Australia Day experience or a traditional one, there's bound to be something at The Star for you. For more information or to make a booking visit The Star’s website.